SCORE, the nation’s largest network of volunteer, expert business mentors, is dedicated to helping small businesses get off the ground, grow and achieve their goals. Since 1964, we have provided education and mentorship to more than 11 million entrepreneurs. SCORE is a 501(c)(3) nonprofit organization and a resource partner of the U.S. Small Business Administration (SBA). Thanks to this generous support from the SBA and because of the selfless contributions of our more than 10,000 dedicated volunteers, we are able to deliver most of our offerings at no cost. Entrepreneurs can access free, confidential business mentoring in person at 300 local chapters or remotely via email, phone and video. SCORE mentors, all experts in entrepreneurship and related fields, meet with their small business clients on an ongoing basis to provide continued advice and support. Get connected with a mentor. SCORE regularly offers free online workshops on topics ranging from startup strategies to marketing and finance. Attendees can watch webinars live, or view recordings online on their own time. We also offer interactive courses on demand, so you can walk through each module at your own pace. Register for an upcoming LIVE webinar, explore our past webinar recordings and take our courses on demand. Business owners can also benefit from SCORE’s extensive collection of eguides, templates, checklists, blogs, videos, infographics and more. We strive to provide the most relevant and current educational content to help small business owners and entrepreneurs succeed. Check out our library of resources. Many local SCORE chapters hold free or low-cost in-person workshops and roundtable discussions covering a range of topics. Find a local workshop near you. Learn about the latest SCORE small business webinars, blog posts and resources. Gain informative, motivational content for entrepreneurs, and share with your friends. Funded in part through a Cooperative Agreement with the U.S. Small Business Administration. 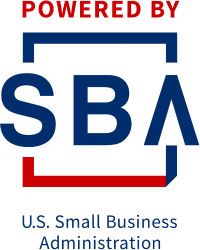 All opinions, conclusions, and/or recommendations expressed herein are those of the author(s) and do not necessarily reflect the views of the SBA.